Das Bevo is the perfect place for events that have a bit of personality. 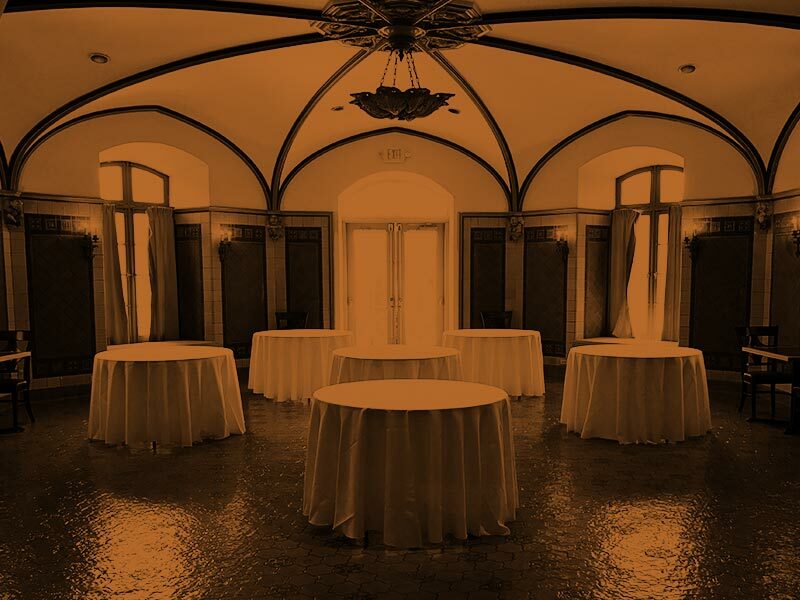 From corporate events, to rehearsals, weddings, and more, our charm mixed with our delicious menu and event planning expertise will ensure that your private event is one for the history books. Shhh. We are now offering Elopement Packages in the top of the windmill. Call for more information. Beneath the bustling bierhall lies Das Bevo Underground, where the lights are low and the guest list is exclusive. Original multicolored stained glass plays backdrop to a stage that hosts corporate bosses by day and grammy-winning jazz artists come nightfall. 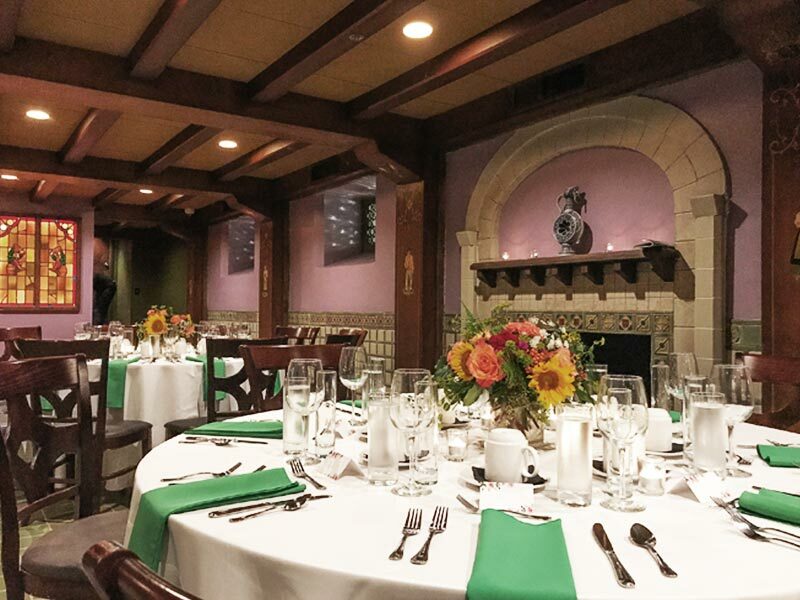 Das Bevo Underground is the perfect setting for your wedding reception, rehearsal dinner, or private event. Start off with cocktails under the neon lights at the base of the windmill and the rest will be history. Whether you need to get-er-done or have some fun, Das Bevo Underground is game to host your private event. Reserve The Oak Room today!